Cisco and Apple today announced that they have resolved their dispute involving the ‚ÄúiPhone‚Äù trademark. 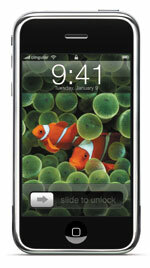 Under the agreement, both companies are free to use the ‚ÄúiPhone‚Äù trademark on their products throughout the world. Both companies acknowledge the trademark ownership rights that have been granted, and each side will dismiss any pending actions regarding the trademark. In addition, Cisco and Apple will explore opportunities for interoperability in the areas of security, and consumer and enterprise communications. Other terms of the agreement are confidential.